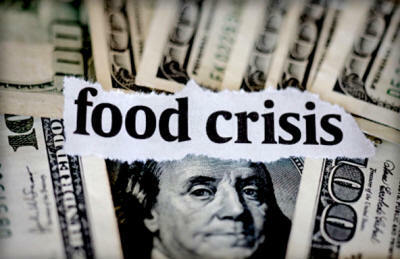 The United Nations warns that global food stores like grains are depleting at an expediential rate and when combined with failing harvests, there will be a food crisis in 2013. Since 2010, the FAO have stated that the rise in food prices is directly correlated to the 80 million people being added to the world’s population annually. 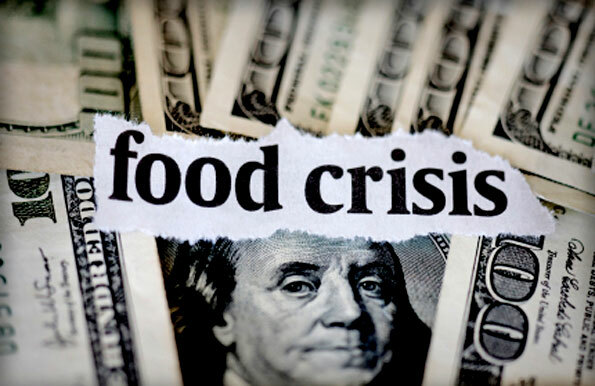 The World Bank issued a statement of concern last month for the coming food shortage due to the drought devastating the U.S. and Europe. Corn yields in the U.S. have succumbed to an infection known as aspergillus flavus which causes a carcinogenic toxin to manifest and renders the corn unfit for human consumption. 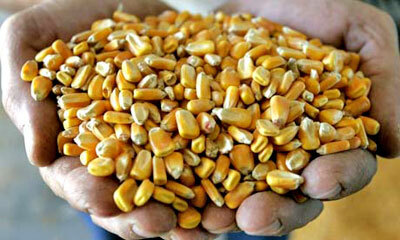 In Iowa, cattle ranchers have reported that their livestock that ate the corn have died due to “toxic nitrate doses”. Nitrate is not toxic to animals; however with the drought conditions causing a lack of access to water, the animals died due to complications. For humans, nitrate will cause blue baby syndrome and digestive tract cancers. With an estimated 870 million people in the Middle East and Africa becoming malnourished, world environmentalists are saying that the global food supply system is heading toward collapse. Lester Brown, president of the Earth Policy Institute (EPI), asserts that our planet’s climate can no longer be trusted and that the demand for food from over-population is breaking the proverbial straw on the camel’s back. Brown predicts that as “food supplies are tightening everywhere” and agricultural land is becoming a precious commodity, geopolitical perspective will shift from energy to necessity. He foretells of “armed aggression” focused on “food unrest”. EPI is a foundation begun by Brown that focuses on influencing the global plan for an environmentally and economically sustainable world. Part of their goal is to coerce the media, social consciousness, lawmakers and governments to adhere to their ideals and examples of how to demonstrate an ecological civilization. The U.S. investment in ethanol is a drain on the world’s food stores; which allocates massive amounts of food to the production of this plant-based fuel for cars instead of for human consumption. In April, before the drought crisis in America began to take its toll on U.S. corn crops, Purdue and Stanford published a study that predicted with precise accuracy that man-made climate change would affect corn yields to the extent that a rise in food prices would be inevitable. They obtained their funding from U.S. Department of Energy’s Office of Science. In the end, the Foundation will give $10 million to the WFP. At this year’s UN Earth Summit Rio+20, goals for sustainable development in Africa and Asia center on their population growth, water supplies and food security. The sub-Saharan and northern regions of Africa, Latin America, the Caribbean and parts of Asia are of particular interest to the UN, as stated by UNICEF and the World Health Organization (WHO). With the assistance of the UN, corporations have begun descending on Africa to aid in the securitization of their natural resources. Examples like an $11 million dollar project funded by the Bill and Melinda Gates Foundation and the Cocoa-Cola Corporation are usurping 50,000 Kenyan and Ugandan smallholders to produce fruit for Minute Maid, a subsidiary for Cocoa-Cola. In February of this year, the Rights and Resources Initiative, a non-governmental organization was involved with the UN in a massive land-grab in Africa which displaced an estimated 500 million citizens from the sub-Sahara as well as targeted 346 billion acres of farmland for the purpose of securitizing food production. “50 percent diminution of the delta flood plain’s land area. In 2007-2008, land grabs by NGOs, multi-national corporations and international entities were a direct causation of the food crisis in developing nations by Saudi Arabia and South Korea. President Barack Obama supports the United Nations’ land grab scheme with the installation of his $3 billion plan to securitize Africa’s food supply and agricultural farms. 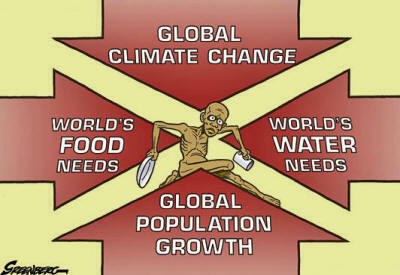 Obama wants to use Africa as a base for growing the world’s food supply, under his controlled initiatives.